Car Park at The Green0844 209 2555work Car ParkPlease book your paking space in advance with your tickets. Please book your paking space in advance with your tickets. Parking prices include over night if you are staying, for those who have purchased a ticket staying for 4 days parking is FREE! 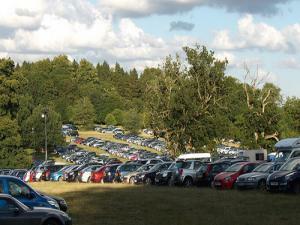 The car park is open at 9am on event days only.